C. E. Blood wrote from Manhattan, Kansas Territory, to Hiram Hill in Massachusetts. 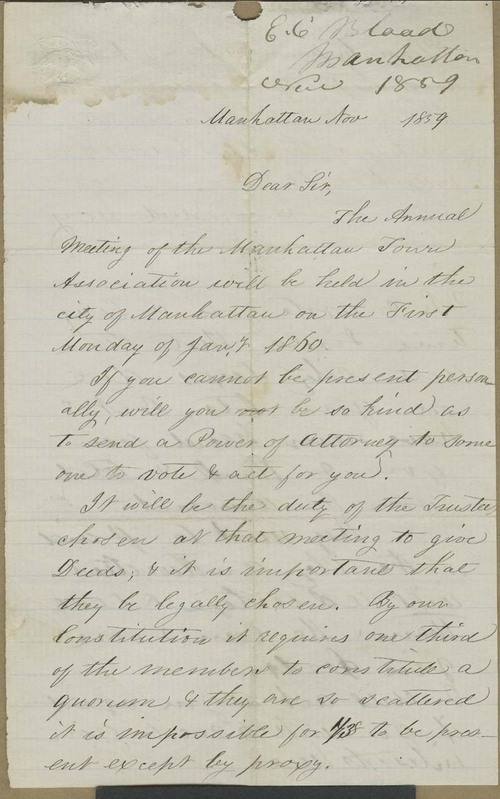 Blood informed Hill of an upcoming meeting of the Manhattan Town Association, and told him that he should send a power of attorney to a local citizen to act as his representative. Blood also said that he had not received money for the city tax he had previously requested, and warned Hill that the city authorities would sell his lots if they were not paid.